LifestyleThe Earth’s Greatest Hunter Is a Cat? The Earth’s Greatest Hunter Is a Cat? Cat owners know cats are fine hunters thanks to the “surprises” these animals bring their owners as gifts. 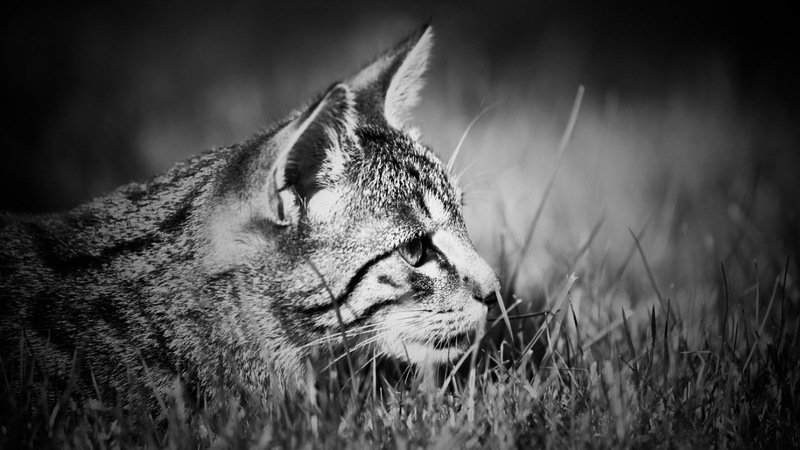 What they may not know is this: cats bring home fewer than 25 percent of what they kill. Ah come on, what about the cheetah? The tiger? The leopard? Those animals are hunters. Killers. Unrivaled predators. Well, sorry. Nope, nope and nope. Turns out, according to BBC Earth, six out of seven leopard hunts end in disappointment. The tiger is worse — one in 20 hunts ends in a kill. And a cheetah only catches its prey half the time, despite its speed. To put a domesticated cat’s hunting chops into perspective, let’s go back to a 2012 study by the University of Georgia and National Geographic. To observe what cats do in their free time, the study attached video cameras to 60 house cats that were allowed outside. So, what did they find out? Well, they kill stuff. A lot of stuff. Granted, cat owners know this already. Many often find “surprises,” like an expired mouse, on their doorsteps. But here's what cat owners may not know: the cats in the 2012 study were far more efficient hunters than those “surprises” might suggest, bringing home fewer than 25 percent of their kills. The thing is, though, this isn’t new information. Cat populations emerged and spread globally — not in spite of the havoc imposed on birds and other wild species — but because of it. Most believe cats were domesticated more than 9,000 years ago in Ancient Egypt. And it was in Egypt where cats were first carried onto boats to hunt birds along the Nile’s riverbanks. Over time, this work evolved and led to service at sea. A ship’s cat had one job: to control rodents on trade, exploration and naval ships. According to the U.S. Naval Institute, a ship's cat offered sailors much needed companionship on long voyages and, most importantly, provided protection by ridding ships of vermin. "Without the presence of cats a crew might find their ship overrun with rats and mice that would eat into the provisions, chew through ropes and spread disease." So the case has been made that cats are superior hunters. That leaves us with a final question: why? Here are five reasons. Eyes: Cats see six times better than humans in poor light. According to the National Geographic, it’s the light-reflecting ability of the eyes that allow them to see better than their prey. They have the highest developed binocular vision of all carnivores, which means they have amazing depth perception. Hearing: The feline’s ears are tuned into the high-pitched frequencies made by rodents. The shape of the ear funnels even the softest or highest sounds inward. Whiskers: The whiskers are like hi-tech sensors, relying on vibration to help detect prey. Retractable claws: The retractable claws are a superhero-like attribute and, because the cat retracts its weapon, the claws remain sharp. Body composition: Long tails enhance balance, while a cat’s spine is flexible. This characteristic allows for more muscular engagement when running. The spine’s ability to rotate 180 degrees is what gives a cat its jumping ability. If you’d like more detail on cat anatomy and hunting skills, check out two articles posted to ibtimes.com and natonalgeorgraphic.com here and here, respectively. Both informed this short list.